By far the best part about finally moving out of New York City has been having an actual house. 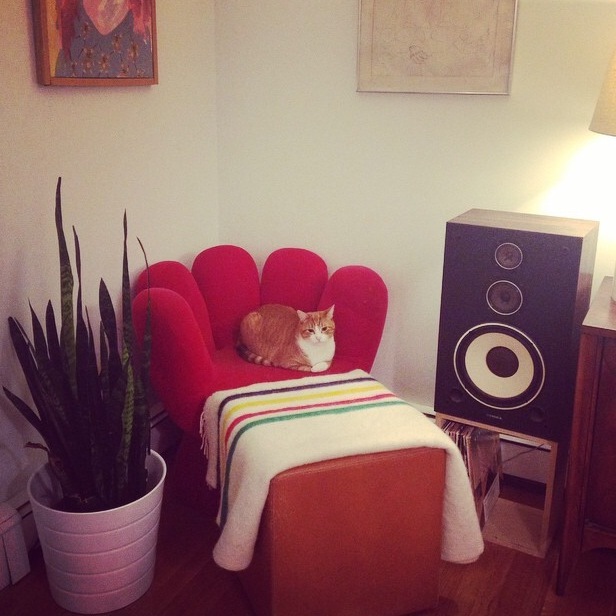 My husband and I moved from a teeny tiny Manhattan studio into a “real” house almost a year ago. By “real” I mean has rooms divided by walls, has more than 3 kitchen cabinets (built in, not even one of those rolly things from Ikea), is not also inhabited by roaches, and does not feature the nightly soundtrack of the downstairs neighbor trying to learn bass guitar to one reggaeton CD. 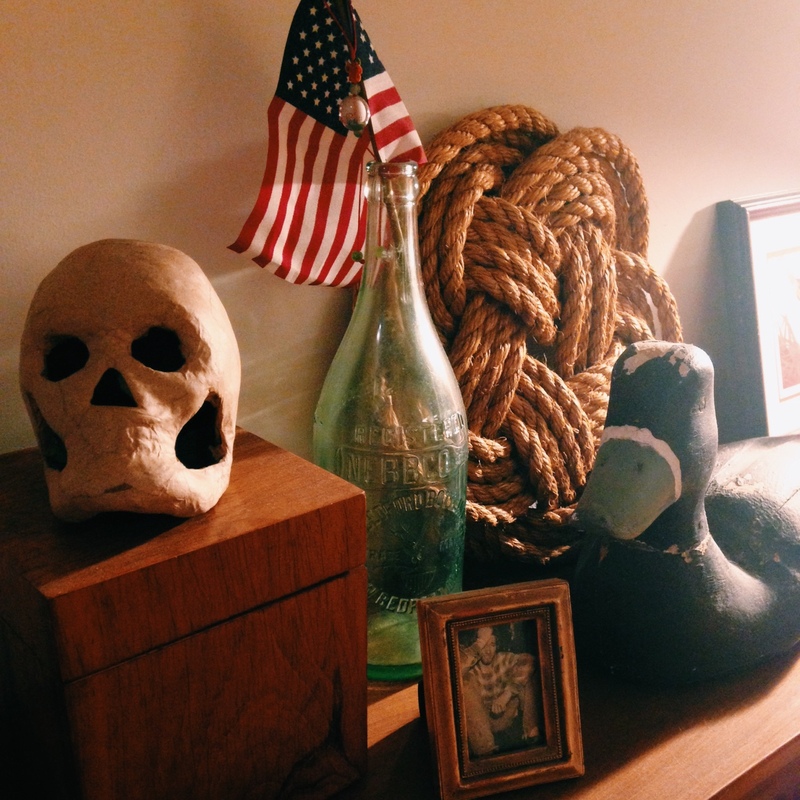 My philosophy on home decor is that it should be weird and personal. You can go on Pinterest all day long and never run out of tips to incorporate grey and white chevron or burlap pillows with numbers on them into your living room. Personally, I do not want to live in a Pottery Barn catalogue. I don’t want to put a bird on it! I still want one of those furry white blanket things that everyone seems to be casually draping over their dining room chairs, though. But let’s pick and choose. 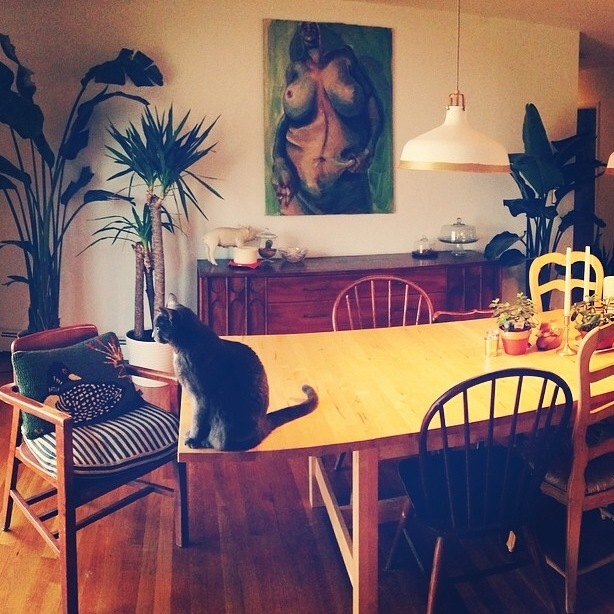 I like to invite people over into what looks like a totally normal house, but then walk them into my dining room, where they’ll find a huge painting of a naked lady grabbing her own fat. There’s a solid mix here of friendly decor items (succulents! white ceramic animals!) and totally weird stuff that lets people know they’re in the right house. By creating unique little vignettes around the house, you’re giving your guests the opportunity to get to know you a little better. Like hey, how many cats do you people actually have? 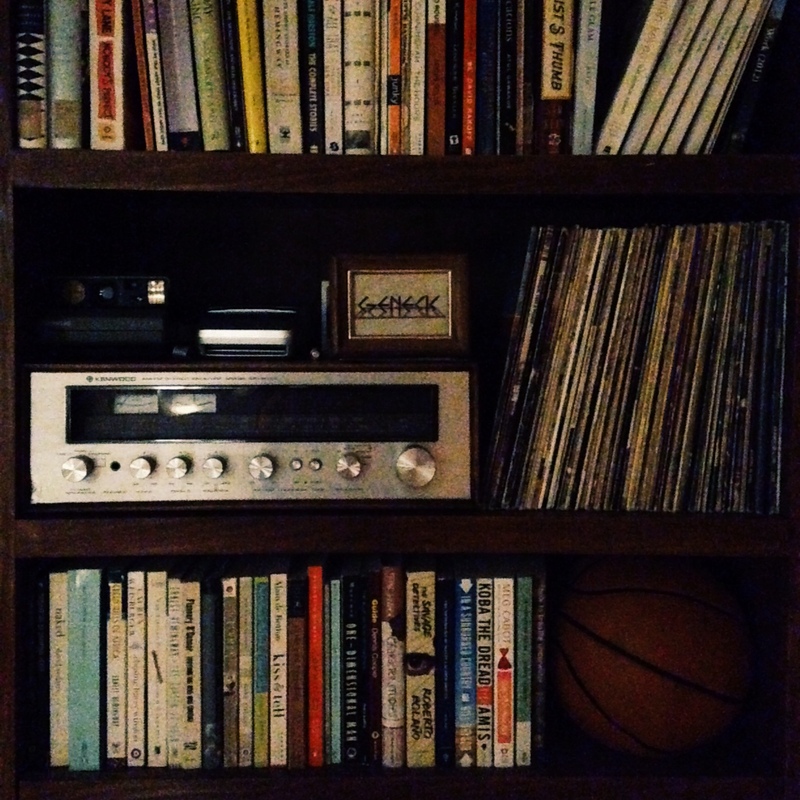 Filling your bookshelves up with basketballs is my #1 tip if you’re not much of a reader. Very Jeff Koons. Monotone is in. 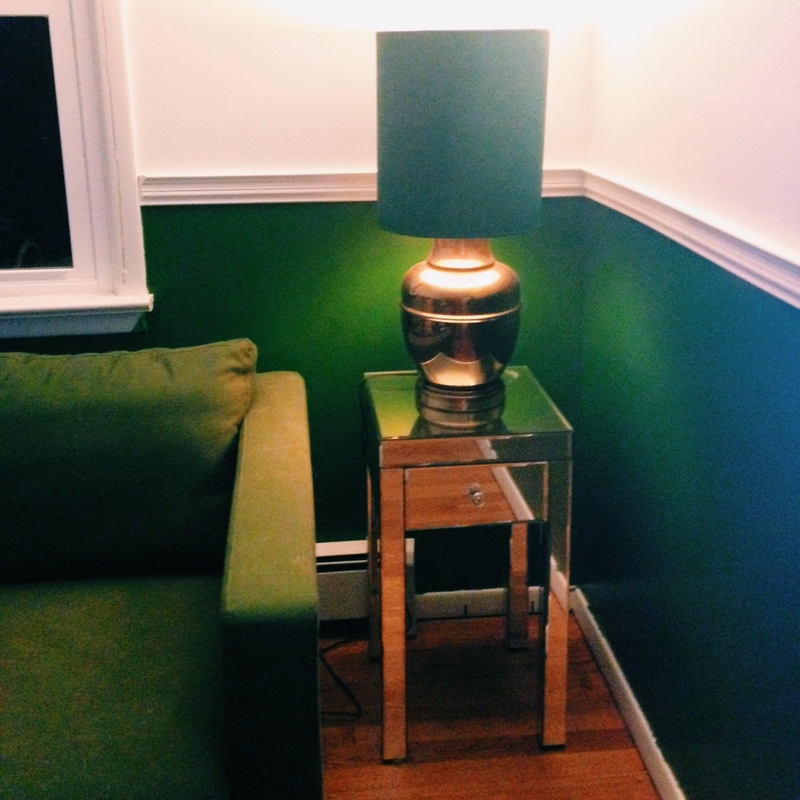 Here I paired a green lamp shade, couch, and paint to lend an old school library vibe to the den. I’m mixing brass with silver mirror because they’re both shiny. Other oft repeated themes around our house are duck decoys (let’s not count this as putting a bird on it, ok?) and framed photos of Kurt Cobain crying. Whatever your choices and themes are, whether you live in a house with rooms divided by walls or not, taking the time and energy to make your home weirdly, beautifully, awesomely yours is a noble and rewarding pursuit. 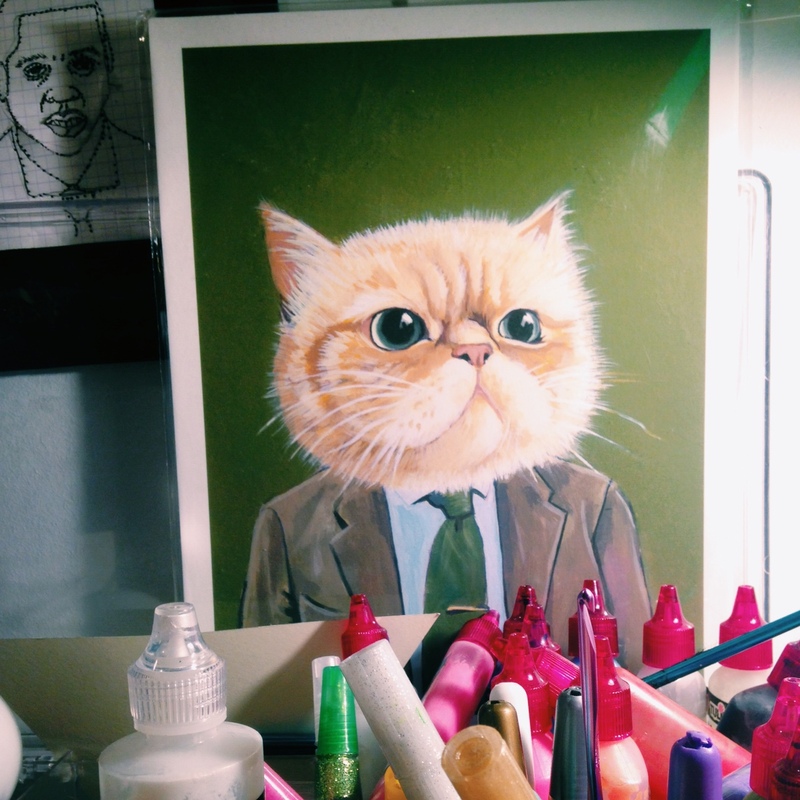 Make it inspiring, and also, fill it with cats.